Most breastfeeding mothers can eat pretty much whatever they like 1. But some exclusively breastfed babies can have allergies or intolerances to traces of food proteins that enter breastmilk from mother’s diet. The most common food to trigger a reaction in susceptible babies through mother’s milk is cows’ milk—see Milk Allergy in Babies—but other allergens (substances that cause an allergic reaction) could be a trigger for your baby too. Other common allergens include egg, soya, fish/seafood, peanut or tree nuts, wheat or other grains, and certain fruits. 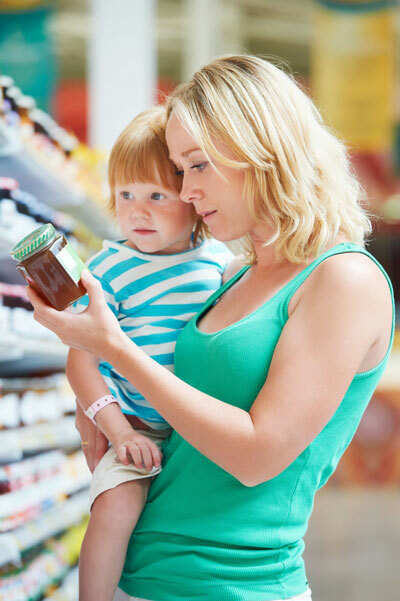 The first line of treatment for a food allergy is for the mother to try to find the food or foods causing the reaction in her baby by way of an elimination diet. An elimination or exclusion diet is one that removes the foods from one’s diet that are causing an allergic response. If the problem food is cows’ milk, it can be difficult to eliminate completely because cows’ milk products are not only found in dairy produce but also as “hidden dairy” in other food groups. In other words cows’ milk proteins can be unexpectedly listed in the ingredients of something you wouldn’t expect, or disguised by unusual names. Elimination diets can be difficult to follow and are recommended under supervision of a dietitian to ensure a heathy diet for mom 2 3 4. If a baby is sensitive to one thing they may be sensitive to other common allergens too so it can be trial and error to know which foods to avoid. Because of this, it is not advisable to substitute anything potentially allergenic during an elimination trial. For example unless you know for sure that your baby doesn’t react to soy, avoid substituting soy products for dairy during an elimination trial, because soya is also highly allergenic. How do I start an elimination diet? Some mothers try eliminating one allergen at a time to see if there is any improvement while others choose to follow a low allergen diet or total elimination diet from the beginning. To make it as simple as possible, one can start by eliminating the most likely suspects for allergies one at a time (i.e., cow’s milk [and products made with cow’s milk like cheese, butter, ice cream, other dairy products, beef products also affect some babies], soy, citrus fruits, eggs, nuts, peanuts, wheat, corn, strawberries, and chocolate). Mothers are instructed to eliminate one food or food group (e.g., dairy products) at a time and wait a minimum of 2 weeks and up to 4 weeks. Most cases will improve within 72–96 hours. Tips for Avoiding Your Allergen by Food Allergy Research and Education (FARE)—a guide to help identify hidden allergens in several elimination diets including milk-free, egg-free, wheat-free, soy-free, shellfish/fish-free, and nut free diets. Dairy Elimination Diet 2012 fact sheet on the Infant Proctocolitis website discusses the places to find hidden dairy and the unexpected names used labelling. Soy Elimination Diet also on the Infant Proctocolitis website includes a list of soy foods and ingredients and places soya can “hide”. Allergy Elimination Diet by Kevin J. Kelly, MD. It is strongly recommended that people eliminating dairy take 1,000mg of calcium a day in supplements. 500mg of calcium twice a day works best. Always check with a doctor before starting any supplements. Having a reaction to traces of cows’ milk protein in the diet or via a mother’s diet via her breastmilk is not the same as lactose intolerance although they could both be present at the same time. For further reading see Lactose Intolerance in Babies. Another approach for an elimination diet is to eat a low allergen diet of only relatively “safe” foods. Once your baby’s symptoms have settled you can reintroduce one food group at a time to identify the offender(s). For babies with more significant symptoms, one can place the mother on a very low-allergen diet of foods like lamb, pears, squash, and rice. Again, this approach requires ongoing consultation with an experienced dietician. Unsure your diet is causing the trouble? Keep a log of what you’re eating and another log of how your baby behaves. Watch sleeping, fussy periods, diaper content and frequency, rashes, and anything else that raises a question for you. It may be that something you ate on Monday affects your baby on Thursday – so keep that in mind as you look for correlations. How long will it take for an elimination diet to work? Once a mother has excluded the trigger food from her diet, her baby’s symptoms will usually start to improve within a few days however it can take two to four weeks in some cases. (Minchin, 2015; ABM, 2011). If your low allergen diet doesn’t seem to be working, consider avoiding other allergens like cigarette smoke, synthetic fragrances, bleach or detergents (including sterilising fluid residues in baby bottles), caffeine, artificial sweeteners (e.g. aspartame), artificial colours, preservatives or oral contraceptives (Minchin, 2015). There are more ideas in Milk Allergy in Babies. Do I really need to go on an elimination diet? Restricting a diet may not always be necessary if symptoms are mild. Discuss this with your health professional. Dr Jack Newman (Canadian paediatrician and breastfeeding expert) also points out in his book and on his Facebook page that there can be other causes for symptoms that may seem similar to allergy for example low milk supply. Contact your IBCLC lactation consultant so she can take a full history and rule out any other causes of fussy behaviour. Remember that this change in your diet doesn’t have to be forever. Many babies can tolerate small amounts of offending proteins that pass to them in breastmilk after the 6- or 9-month mark. Take one day at a time, and know, without question, that if your baby is struggling with breastmilk, he will do far worse on regular baby milk preparations, which are made from the allergens you’re trying to avoid! The available preparations for highly sensitive babies are very expensive and don’t offer the other protections from allergy and disease your milk provides. GI Kids explain that children tend to grow out of cows’ milk protein allergy (or become more tolerant). They suggest that half of all babies with symptoms will have developed a tolerance by one year of age, and that mothers of most allergic breastfed infants will need to stay on an elimination diet for 6-12 months. After this point you can discuss with your health professional or dietitian about whether to try to reintroduce cows’ milk produce or other known allergens into yours and your breastfed babies diet and if so, how. There is a useful document by NHS Bath that describes a “Milk Ladder” approach see: Reintroduction of Milk into Your Child’s Diet. Will an elimination diet in pregnancy help my next baby? A paper by Fleischer et al 8 and the guidelines from the American Academy of Allergy, Asthma and Immunology (2013) do not advise avoidance/elimination diets during pregnancy or lactation as a means to prevent allergies. Allergy author Maureen Minchin agrees with general advice not to exclude foods during pregnancy. However if there is a known problem in either parent e.g. if mother knows she has cows’ milk allergy, Minchin says it may be worth avoiding cows’ milk, beef and blood products. Or, in the case of the allergic mother, at least reducing these allergens in her diet until she is symptom free (ideally before conception). The UK based charity CMPA Support, also has several Facebook forums including regional groups for mother to mother support, see CMPA Support for Breastfeeding (Facebook). TED Mamas is an international peer-to-peer Facebook support group for breastfeeding mothers who are following a total elimination diet. Information in this article is not tailored for you and your baby. 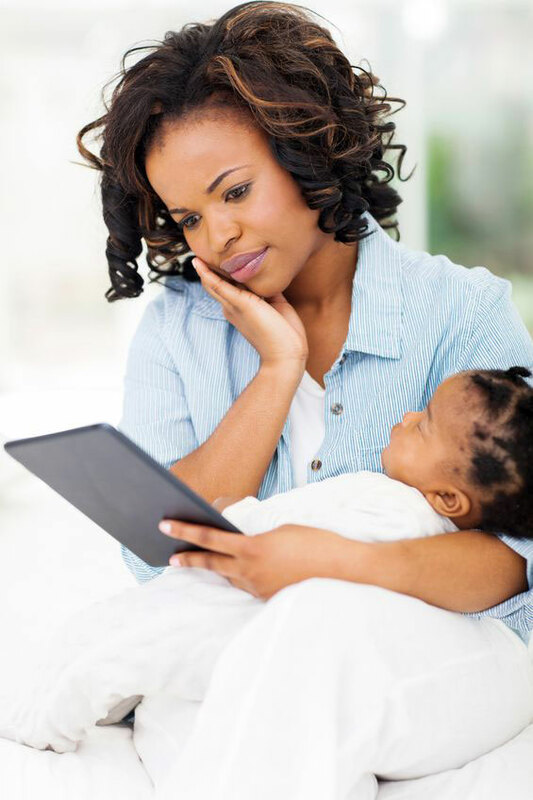 Always consult with your health professionals for advice that takes yours and your baby’s medical history into account.